look what I have for you today! 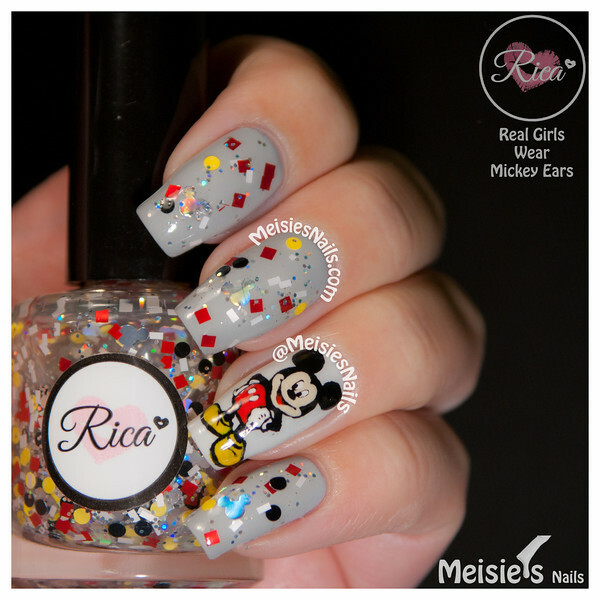 This super cute glitter polish is Real Girls Wear Mickey Ears by Rica. I couldn't resist, it's too adorable! 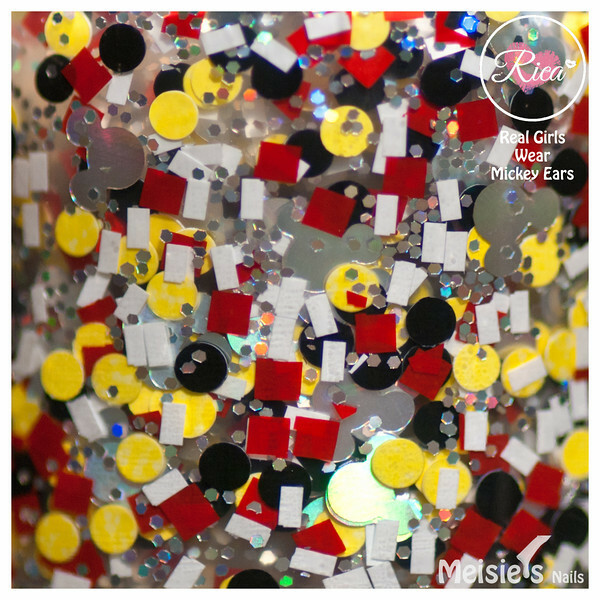 Real Girls Wear Mickey Ears is a mix of red squares, white rectangles, yellow and black dots, small holographic silver hexes and best of all, Mickey Mouse shaped glitters!!!!!! How cool is that?! Application required some fishing, but I managed to easily get some Mickey Mouse glitter on my nails. I applied 2 coats of RGWME over Essence Got a Secret. So to go with the theme, I hand painted Mickey Mouse on my ring finger using acrylic paints. The base color is OPI My Boyfriend Scales Walls. Here's a macro bottle shot to show you the awesomeness!